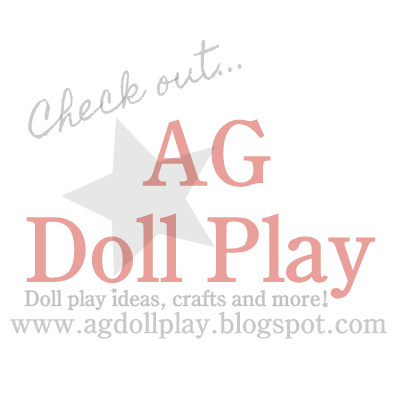 American Girl Doll Play: Our First Night with Lanie! Our First Night with Lanie! We recently sold Zoey's AG horses and stable set...they weren't getting used or played with and we didn't have the space to have them out anyway! It was Zoey's decision and I told her that if it sold she could have the money from the sale. Well, the horses sold this week and it just so happened that we found a listing on craigslist for an AG doll (something that is very rare for our area) and it was Lanie Holland, 2010's Girl of the Year! It was really hard to tell from the listing if she was in good shape or not. The listing stated that she had never been out of the box and was new. She was in her meet outfit and had her box and book. I worked today and sent the individual that was listing her a note saying I could meet her early this morning on my way in to work to take a look at her (I didn't want to commit in case she was truly in bad shape!). I worked all day and Zoey was with a friend so we couldn't play with her until later tonight...here are some pics of her on her first night here hanging out with McKenna (our other doll of the year). They are becoming fast friends and Lanie is fitting right in! Treats and playing games will make people feel welcome every time! Lanie ended up winning when they played Apples to Apples! Hooray! So much excitement for just one day! Lanie is sleeping and already dreaming about what fun they will be having tomorrow. I can't wait to share some better pictures of her in her meet outfit with you when the lighting is better during the day. One thing I love about American Girl collecting is that our collection is constantly changing. We discover what it is we love and what it is that we can live without all the time. 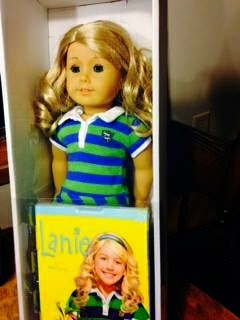 I think right now we have the dolls that we truly "love" in our collection. We've gotten rid of some from our original collection and made room for some ones that we were pining away for. Getting rid of the horses and stable set was a good move for us too...we just weren't into horses and either were our dolls! So fun sharing this journey with you all! Cute I love you blog and Lanie is my favorite GOTY ever! Congratulations for adding Lanie to your collection/family. She is beautiful. although looking at your pictures I must recouble my efforts to get our Lanie's hair under control. Good for you. I have a prior GOTY on the way.